When it comes to conference realignment-related lawsuits, every school that has left a conference has attempted to claim that it owes nothing in exit fees. In turn, every conference has attempted to claim that the defecting school owes every single penny. Ultimately, though, it’s all a dance to get to a settlement (as is the case in 99% of all lawsuits as a general matter) and the parties invariably meet somewhere near the middle. As a result, Maryland’s new counterclaim filed on Monday against the ACC (see the full complaint here) needs to be viewed through that prism. Maryland is now claiming that the ACC is liable for $157 million, which reflects treble damages for allegations of anti-competitive behavior (which we’ll get to in a moment). The ACC’s original claim states that Maryland owes the entire amount of the $52.2 million exit fee that the conference passed a couple of months prior to the Terps defecting (although Maryland and Florida State voted against it). 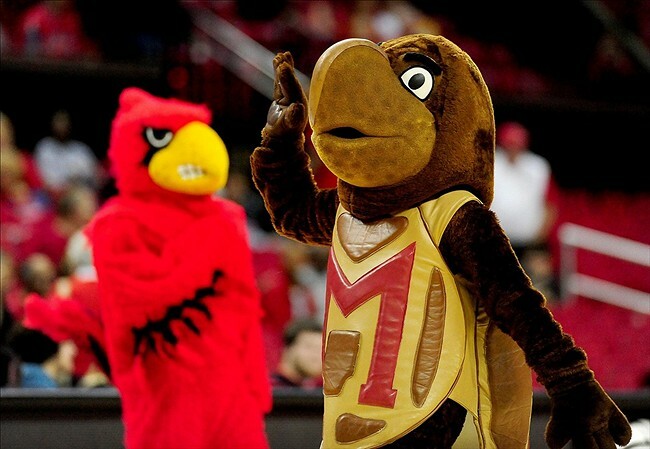 The reality is that Maryland doesn’t truly believe that the ACC is going to pay $157 million and the ACC doesn’t truly believe that Maryland will pay the full $52.2 million exit fee. It’s just that they can’t say anything less along those lines in court or public or else they’ll lose a massive amount of leverage. The headlines for the counterclaim focus on two tantalizing allegations that the ACC (1) attempted to recruit 2 Big Ten schools after Maryland announced that it was leaving and (2) received “counsel and direction from ESPN” on expansion targets. Now, my semi-educated guess is that these allegations are blowing some fairly mundane conversations out of proportion. Conferences are constantly recruiting schools, as the Big Ten has done quite a bit over the past several years. The word on the street is that Penn State was definitely one of the Big Ten schools that was contacted, while Northwestern appears to be the most likely other target. Note that Maryland stated that the ACC did not recruit any schools west of the Mississippi River (which was a distinction to bolster their argument that the “relevant market” that needs to shown in antitrust cases was as limited as possible and that the ACC had market power in such market), so it looks like the ACC didn’t want to go after Minnesota, Iowa or Nebraska. Regardless, the fact that representatives from Wake Forest and Pittsburgh* attempted to recruit Big Ten schools in and of itself doesn’t mean very much other than showing that there’s no limit to John Swofford’s hubris. Pitt’s president calling up Penn State’s president with a “Want to join the ACC, bro?” inquiry and quickly getting rebuffed is a recruitment on paper, but it never went anywhere. The real test is whether there was any evidence of reciprocal interest (i.e. the Big Ten entering into confidentiality agreements with multiple ACC schools besides Maryland in 2012) and Maryland didn’t present anything to that effect. At the same time, ESPN’s “counsel and direction” isn’t unique to the ACC. While I have seen a number of people try to argue today that the ACC is an “ESPN property” while the Big Ten is a “Fox property”, this belies the fact that ESPN’s top college football package still consists of the Big Ten’s first tier rights, the Big Ten continues to receive more money from ESPN than the BTN even under an older pre-sports rights boom contract, and Disney will very likely be paying a monster amount (as in the largest contract in college sports history) to retain those rights sooner rather than later (which is a topic for another day). The reality is that ESPN is having these types of conversations with everyone. If the ACC lobs in a call to Bristol and asks whether they’d be willing to pay more if they added Penn State, they’re probably giving an honest affirmative answer. Likewise, if anyone thinks that Jim Delany and the Big Ten didn’t have the exact same conversations with ESPN about what they’d be getting if Maryland and Rutgers joined (the latter being the old Big East that had all of its rights owned by ESPN), then that’s a serious case of naivete. That doesn’t mean that ESPN is actually directing conference realignment decisions, although it highlights the substantial conflict of interest that ESPN has by having so many contracts with a multitude of competing parties. Separately, it appears that the quote of former Boston College AD Gene DeFilippo in Boston Globe after the ACC added Syracuse and Pittsburgh, where he says, “We always keep our television partners close to us. You don’t get extra money for basketball. It’s 85 percent football money. TV – ESPN – is the one who told us what to do. This was football; it had nothing to do with basketball,’’ will probably live on in infamy for the foreseeable future in conference realignment lawsuits. Granted, my belief is that the quote is taken a bit out of context where the emphasis that DeFilippo was likely trying to get across was that ESPN was telling conferences that football was worth more than basketball as a general matter as opposed to providing actual membership directions, but it shows that the public will pounce on any hint of meddling from Bristol because they want to believe that ESPN constitutes the Conference Realignment Illuminati behind every move. For all of the lawsuits, mudslinging and public posturing, we’re probably going to see the ACC and Maryland end up splitting the baby in a settlement in relatively short order. Absolutely no one involved – Maryland, the ACC, the Big Ten, ESPN – wants anything to do with this matter going to trial. A year ago, I thought that this would settle for between $25 million and $30 million, and that still seems to be the likely outcome from my standpoint.